Nothing shows you’re serious about food like an 8″ butcher block table that weighs 1200 pounds! 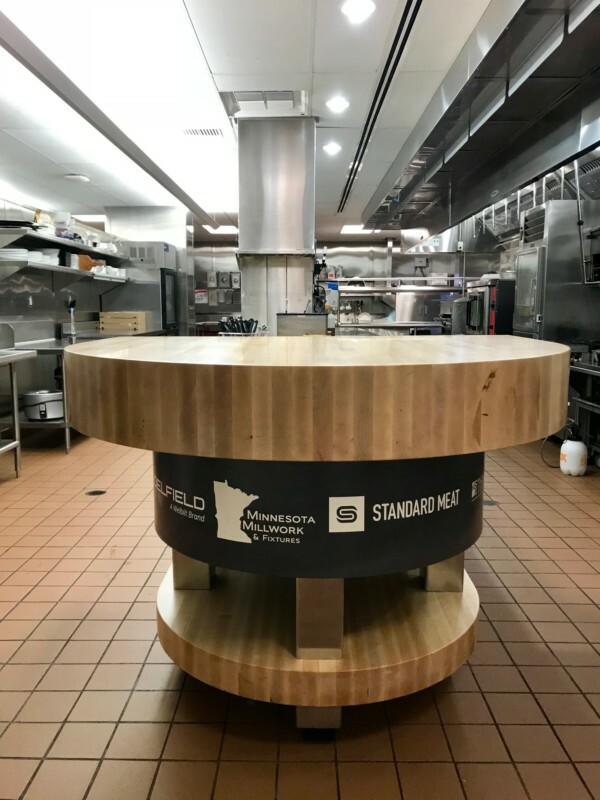 Recently BloominBrands came to us looking for a centerpiece for their test kitchen. They were remodeling, and several of the vendors they use were donating to the project, so they asked about branding logos into the table. They gave us the dimensions to hold to but were looking for us to design & engineer. We collaborated as a team and came up with the idea to do a Corian center tier, have the logos cut into it and then back filled with a contrasting resin. 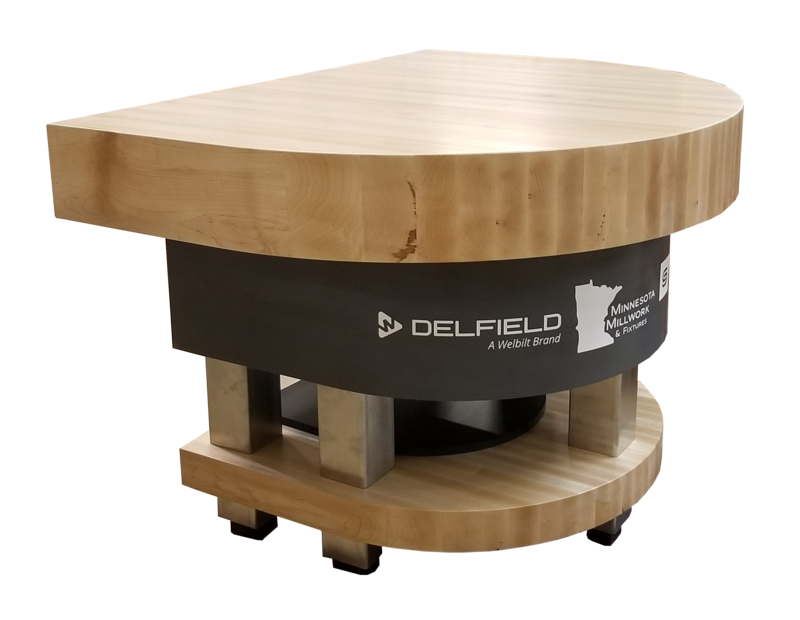 The table went through several revisions and renderings to come up with the final design. 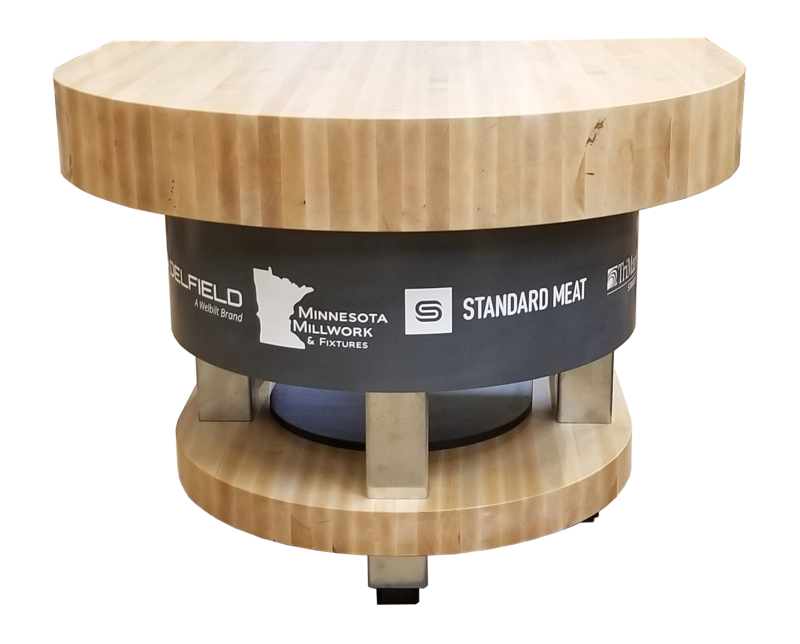 Once approved, we put into production where we encountered several challenges such as leg design, cutting & filling the logos & routing the massive top. Pinski Edge helped out a ton on the project & ended up doing the resin filling for us. It took two days because they had to fill each individual letter due to its radius.